Tripura Foundation is a 501(c)3 non-profit organization serving global education and feeding programs. Our largest initiatives are currently operating in the United States, Mexico and India. We are highly focused on partnering with schools and local governments around the world to deliver Phonemic Intelligence- Dr. Pillai’s cutting edge educational technology that unlocks intelligence and compassion by working with the brain. Children are at the core of our service. We aim to give impoverished children hope for a better life by providing love, support, nutrition and PI training. We provide basic necessities, food, medicine and compassion for the abandoned and neglected elderly of the most rural villages in India. We provide after-school support, vocational classes and Phonemic Intelligence training to children determined to get an education despite lack of support. We partner with compassionate sponsors like you who are committed to ending the cycle of emotional and physical suffering of those who often go forgotten and unloved. Established in 1989, Tripura Foundation was established in the US as a vehicle to deliver innovative transformational tools and programs to people around the world. The organization has come a long way since then. Programs like Millions Meals of HoPE, HoPETown, HoPE Learning Centers and HoPE for the Elderly all grew out of a single intention. Read more about the history of Tripura Foundation here. It is our wish that the maximum amount of all donations goes to the people that need it most. In order to achieve this Tripura Foundation is nearly 100% volunteer based. While we have few full-time staff, our volunteer corps includes highly dedicated individuals who offer their time and resources in service to their fellow men and women in need. 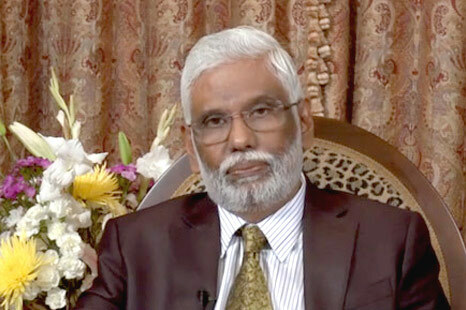 Dr. Baskaran Pillai is an international spiritual leader, humanitarian and scholar-mystic from Southern India. As founder of the non-profit organization, Tripura Foundation, Dr. Pillai is committed to abolishing world poverty and relieving human suffering in all forms. 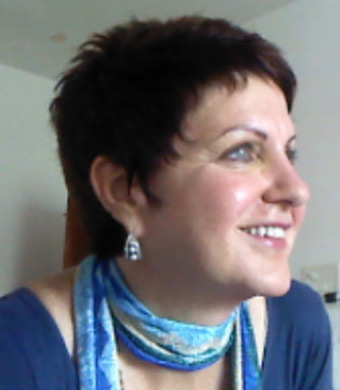 Elaine Kueper (Mohini) has been appointed as the Global Director of Tripura Foundation in the US since 1992. Mohini has been instrumental in developing and overseeing Tripura Foundation’s charitable programs in some of the most impovrished areas of southern India. 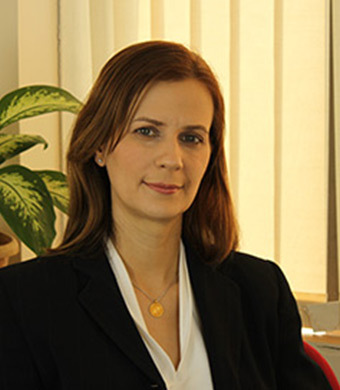 Sonja Benkovich has been involved with Tripura Foundation since 2000, and joined the Board of Directors in 2006. Ms. Benkovich provided financial and technical services to the New York brokerage and manufacturing industries for nearly a decade. Her training in the fields of accounting, financial analysis and control systems led her to manage the rollout of a first-of-its-kind Bond Trading system with links to the New York Stock Exchange, Spear, Leads & Kellogg clearing house and over 40 of the nation’s largest brokerage houses. She has also worked the corporate and emerging market bond desks at Bear Stearns, providing key decision-making analysis. Ms. Benkovich also worked in tandem with Coopers & Lybrand and KPMG consultants in building and delivering enterprise resource planning systems for Fortune 100 companies. Stacey Lawson is co-founder of the Center for Entrepreneurship & Technology (CET) at the University of California, Berkeley, and a Visiting Foreign Faculty of TRP School of Business, SRM University in Chennai, India. Previously, Ms. Lawson held roles as a technology executive and entrepreneur. She was Division General Manager for Siebel Systems and Senior Vice President of Marketing for Parametric Technology Corporation. 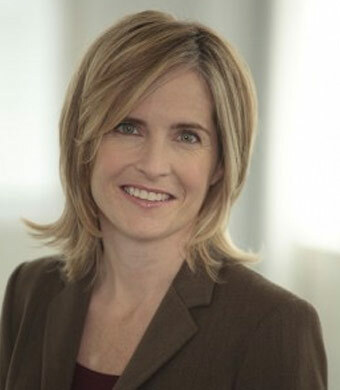 Prior to PTC, Ms. Lawson was founder and President of InPart Software, a venture-backed start-up acquired by PTC in 1998. Ms. Lawson is also a speaker and thought leader in the area of conscious business and leadership. She leads executive workshops, retreats, and mindfulness techniques courses which incorporate 15 years of study and practice in eastern and western wisdom traditions. She holds a B.S. in chemical engineering from the University of Washington and an M.B.A. from the Harvard Business School. Meena Mulloy gained a view of how things run at the top quite early in life when she moved to California after college and temped for top executives of Fortune 500 companies. In 1991, she moved to New York City and went into computer programming on mainframes just prior to becoming an expert in the new Microsoft software, ultimately leading her to run one of the largest departments for Credit Suisse, Corporate Communications on Park Avenue. While at Credit Suisse, Meena met Dr. Pillai and took a trip to India. Her life has never been the same since. When the 2004 tsunami hit, she went on a mission with Elaine Kueper to find people who were hardest hit with no help from government or other charities. Every turn and exposure to the inner workings of Tripura Foundation impressed her. In 2011, Meena oversaw a daily feeding program for the homeless. In addition to being a Board Member for Tripura Foundation, Meena Ann Marie Mulloy is now Director of Corporate Communications for AstroVed.com. Tripura Foundation seeks to deliver HoPE to people living in poverty, hunger, violence, disease, inequality and exploitation. To achieve Tripura’s vision, we focus on the area where we believe we can have the greatest impact: phonemic intelligence and transformative education. We work in collaboration with school communities on a global level to develop academic and social skills. We partner with local governments across India to deliver holistic community building programs. We partner with individual donors to bring phonemic intelligence programs to targeted special needs groups. Tripura Foundation works with the highest values of full integrity, accountability, commitment to success, ethics, community building, efficiency and inspiration. One billion children – every second child around the world – live in poverty. This means that these children are undernourished, live without adequate shelter, no access to safe water or health services. One hundred twenty-one million children have no access to education. Tripura Foundation believes that all children, regardless of gender or background, have a right to receive a healthy nourishment and transformational education. By empowering children through the Phonemic Intelligence and HoPE Learning Center programs, we are starting to see a new world in which these children are able to realize their full potential. 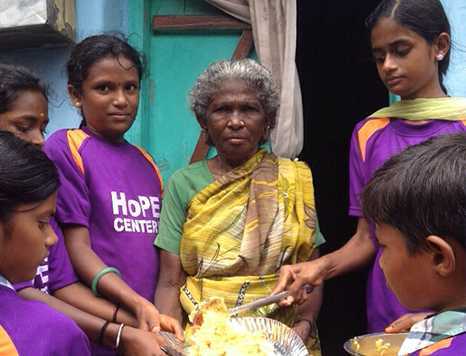 Tripura Foundation had its origins in India in 2000, where we launched the preparation and delivery of hot meals to 1000 families in the slums of Chennai, India. We also partnered with the Rotary Club to set up a Boystown of 95 children highlighting the power of giving nutrition along with education to nurture body and mind together. In 2007, Tripura Foundation educators realized that their transformational educational teachings had remarkable results: better focus and concentration, higher academic results and a much higher social and emotional intelligence. Today, we are a global organization dedicated to promoting and enabling transformational education through school and HoPE programs focused on increasing academic and social intelligence, decreasing hunger, violence, disease, inequality and exploitation. We achieve this goal by establishing partnerships with local school communities, training teachers on phonemic intelligence and transformational education, supporting girls and boys to complete secondary school with the holistic life skills necessary to succeed in school and future life. 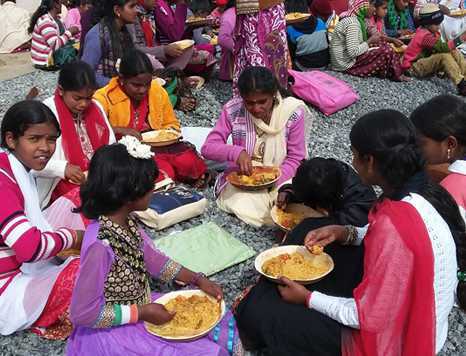 We currently work in India, USA, Mexico, Haiti, Trinidad with plans to expand so we can bring transformational educational opportunities, food and health resources to the poorest communities throughout the developing world. Tripura’s programs have benefitted more than 20,000 children so far and we are on track to reach 100,000 children by 2016. Imagine a world in which every child has access to an education, shelter, water, food and health service. Tripura continues to make this dream a reality, one child at a time.